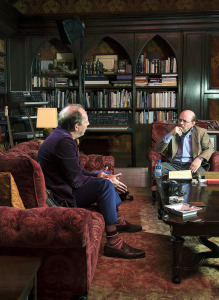 Interviewing Hans Zimmer at his studio in Santa Monica. One of the most startling developments in the burgeoning field of film-music instruction is the “Hans Zimmer Teaches Film Scoring” online primer now available from San Francisco-based MasterClass (which has recently offered videos of Aaron Sorkin teaching screenwriting, Steve Martin teaching comedy, Kevin Spacey teaching acting, etc.). It’s a series of 31 lessons, totaling over four hours, in which Zimmer discusses how he does his work and offers examples from his most famous scores. The Oscar- and Grammy winner launched it at an event on Wednesday in West Hollywood; he talked about his reasons for doing this and a bit about his own mentor, British composer Stanley Myers, in this new interview. 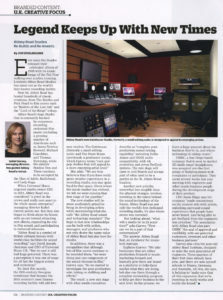 This entry was posted in Composers, Film Music, Interviews and tagged Film Music Society, Hans Zimmer, Hans Zimmer Teaches Film Scoring, MasterClass, Stanley Myers on March 18, 2017 by Jon Burlingame. 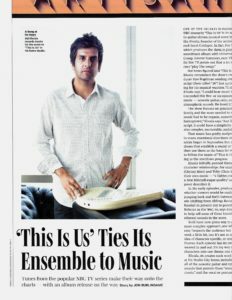 One of the unsung (if you will) aspects of the hit NBC series This Is Us is its unusual musical score by Siddhartha Khosla. For a sidebar to this week’s Variety cover story on the show, editors asked me to profile Siddhartha and discuss his acoustic guitar-driven, often subtly emotional music. Khosla, the son of Indian immigrants, has a fascinating background and is the prime moving force behind the band Goldspot. He wrote a song for This Is Us that shot immediately to no. 12 on iTunes, and Universal Music Group is preparing a soundtrack album to be released later this year. 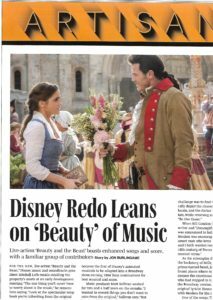 This entry was posted in Composers, Interviews, Television Music and tagged Goldspot, guitar in TV music, NBC series This Is Us, NBC's This Is Us, Siddhartha Khosla, This Is Us, Variety on March 9, 2017 by Jon Burlingame. 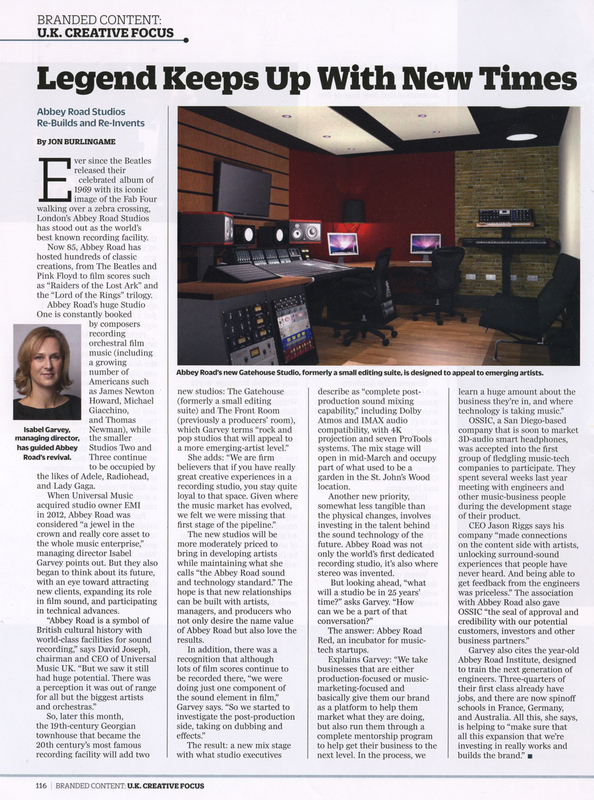 This entry was posted in Film Music, Interviews and tagged Abbey Road, Abbey Road Red, Abbey Road Studios, David Joseph, Isabel Garvey, OSSIC, The Front Room, The Gatehouse, Universal Music UK, Variety on March 6, 2017 by Jon Burlingame.